Republican Brian Kemp won the Georgia governor election by a margin of 1.4 points. His Democratic opponent, Stacey Abrams, acknowledged Kemp would win, but would not concede as she is planning to litigate. Abrams accused Kemp of “voter suppression” during the election due to his position as Georgia secretary of state, a position that oversees elections, which he held while running for office. Georgia Republican Brian Kemp has been declared the winner in his gubernatorial race against Democrat Stacey Abrams Saturday after she admitted she was going to lose Friday, but would not concede. Georgia’s secretary of state, a position Kemp held until Nov. 8, certified the election Saturday, reported The Atlanta Journal-Constitution. Kemp edged out a victory over Abrams, taking 50.3 percent of the vote with all precincts reporting, according to The New York Times, which had not called the race as of Sunday. Abrams received 48.8 percent of the vote, and libertarian Ted Metz received 0.9 percent. 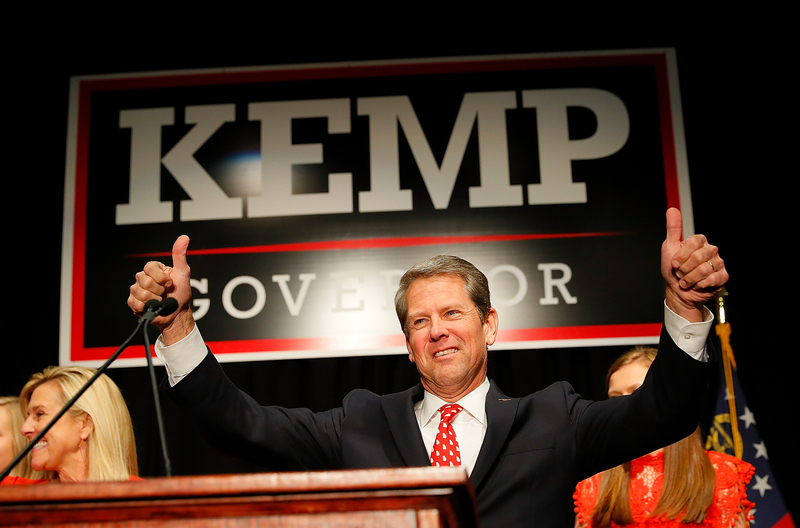 Kemp declared victory over Abrams on Nov. 7 before the race was officially called. He announced he was officially stepping down as Georgia secretary of state Nov. 8, reported WSB Atlanta. 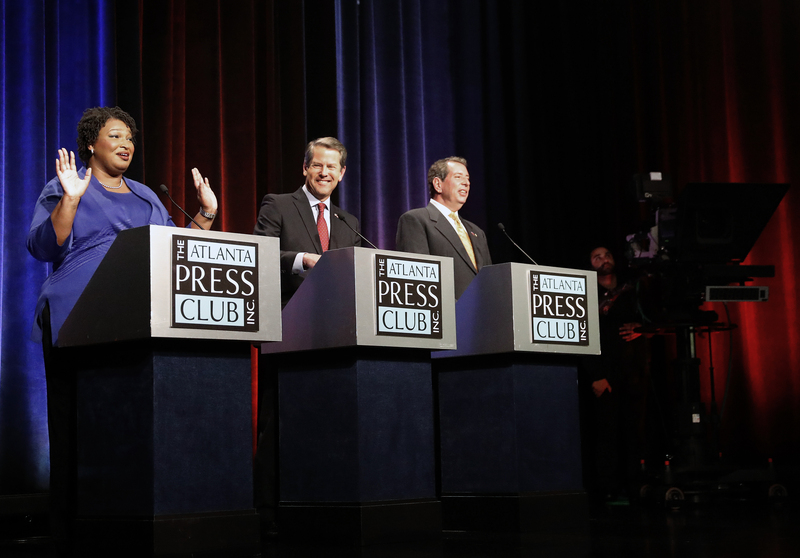 Abrams still refused to concede at a press conference Friday. “I acknowledge that former secretary of state Brian Kemp will be certified as the victor in the 2018 gubernatorial election, but to watch an elected official who claims to represent the people in this state baldly pin his hopes for election on the suppression of the people’s democratic right to vote has been truly appalling, so let’s be clear. This is not a speech of concession, because concession means to acknowledge an action is right, true, or proper,” Abrams said. Abrams and her supporters hoped Kemp had not garnered enough votes to mandate a runoff election Dec. 4, according to Fortune. Abrams assembled a legal team to file multiple lawsuits claiming that not all votes that needed to be counted had been counted. Much of the controversy in Kemp and Abrams’s race has stemmed from Kemp’s position as Georgia secretary of state, a position that oversees elections, which he held while running for office. Kemp resigned the post Nov. 8, and interim secretary of state Robyn Crittenden, the first African-American woman to serve as a statewide constitutional officer in Georgia’s history, was sworn in, reported The AJC. Abrams, Georgia’s former state House minority leader, repeatedly accused Kemp and his office of suppressing minority voters because of the “exact match” voter ID law that flags voter registrations with even slight discrepancies from other official identification documents, according to The Washington Post. She announced Friday she will file a lawsuit alleging “gross mismanagement” in the election, reported Axios. Georgia’s Democratic Party attempted to purchase ads Nov. 9 to support Abrams in the nonexistent runoff and had its request denied because the ads could violate campaign finance laws. The race has garnered attention across the nation. President Donald Trump said it was “time to move on” in a tweet posted Nov. 9. 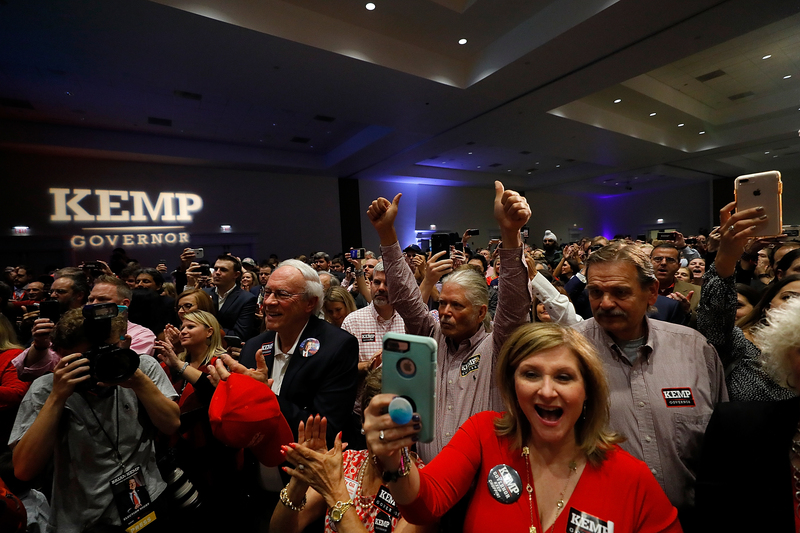 “Brian Kemp ran a great race in Georgia — he won. It is time to move on!” Trump wrote. Kemp will replace current Republican Gov. Nathan Deal, who had served since 2011 and is leaving office because of Georgia’s two-term limit. Abrams would have become the first black female governor in the U.S. had she won and would have been Georgia’s first Democratic governor since 2003. Georgia has a long history of Democratic governors including former president Jimmy Carter. Georgia’s last Democratic governor was Roy Barnes, who served from 1999 until 2003.